SKU: N/A. 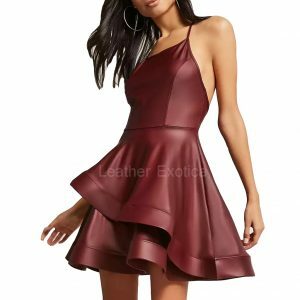 Categories: Best Seller, Leather Coats, Premium Leather Wear. Hold this classic style faux fur collar women suede trench leather coat which is made from suede leather and has faux fur collar. This suede leather trench coat has paneled detailing and has flap pockets at sides. 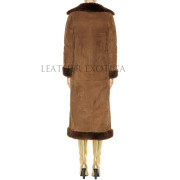 This suede leather coat has long sleeves with faux fur at cuffs. This trench coat has no closure and it is fully lined and also available as per your size. So women hold this cool style women leather coat now. Hurry up! !